I already read Any Man of Mine and it was pretty ok, I hope you like it! My list is pretty long for April -- most of which are due to auto-buy authors not necessarily base on book interest. Lol. Mesmerized by Lauren Dane, Navarro’s Promise by Lora Leigh, Hotter than Wildfire by Lisa Marie Rice, Deserving of Luke by Tracy Wolff, The Gathering by Kelley Armstrong, Chasing Fire by Nora Roberts, Tangled Threads by Jennifer Estep, and Big Bad Beast by Shelly Laurenston. The Leigh, Armstrong, and Laurenston really interest me. :) Also, I might pick up Deadly Dreams by Kylie Brant as well but we'll see base on book reviews and if I enjoy the sample chapter. hehe! Ginn Hale has her second of the series. I don't know if I'll get my hands in these new novels because my tbr is slready piling high up. But at least I am back -- reading again! Reading for pleasure. I am however adding few if these in my list including NR's Chasing Fire & Any man of mine by RG. There is one I am really looking forward but it won't be out till May, Tessa Graton's Blood Magic. Hope you'll have fun reading these books, as always. Tabitha that's a great long list, lol! I'm definitely reading Chasing Fire! I didn't highlight it, but yeah... it's on my list. :) Lauren Dane! 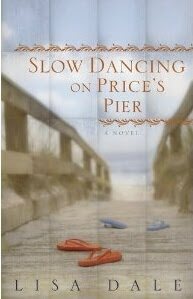 I've had her on my list for a long time and should get to reading some of her books too. You have a great list ahead of you. You definitely have books piling up there my friend. I'm so glad you're enjoying them too. I have a pile for you here, waiting for our next meeting too, so read fast. :D Hope you enjoy the new NR and the RG. I love Jody Thomas westerns and can still remember the plots from books I read years ago. 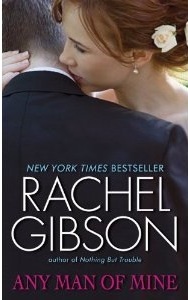 I also keep some Rachel Gibson -the two hockey themed contemporaries -so i will be picking these two up too. Two good reads to look forward to. Reny, hi! Great picks for the month. 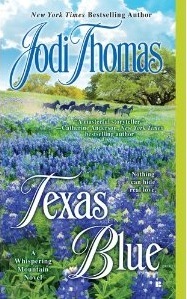 :) I have quite a few Jody Thomas westerns on my list or TBR... so it's great to know you recommend them. And I'm really looking forward to the Gibson contemporary. Ann Aguirre's new YA series starting with Enclave, releases next month. I love the sound of it and enjoy her writing, so I definitely want to read it. Is the Lisa Dale connected to a previous book? LOL, seems like you forgot to list the Nora Roberts! Leslie, I've read two books from that series. I'm hoping I'll enjoy this one. :D Oh enjoy Aguirre's new YA series! I'll wait for your review! Nath, the Lisa Dale is a stand alone. This is her third book after Simple Wishes and It Happened One Night. I see you're already planning for RWA. LOL! Good for you! Can't wait for Any Man of Mine! Oh, I know you like these books! Hockey, lol! The American Cafe looks interesting! I'll be eager to see what you think about it. I'm really excited about The Sweetest Thing by Jill Shalvis, and Ann Aguirre's Shady Lady. 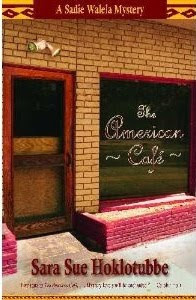 Renee, I'm really looking forward to reading The American Cafe... I'll definitely review that one.